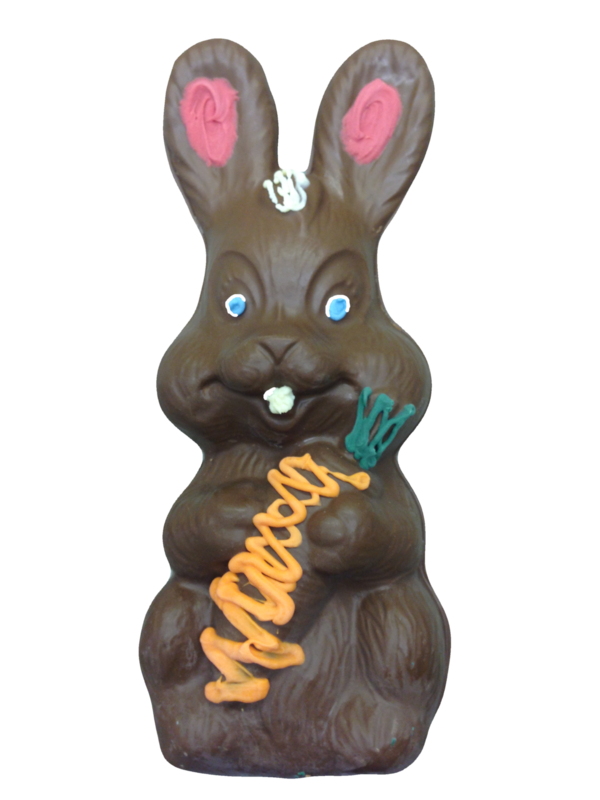 Beautifully decorated Large 1 foot Bunny. Makes a perfect table centerpiece. It is solid at the base and hollow throughout the body. It’s approximately 2lb’s of Milk Chocolate.